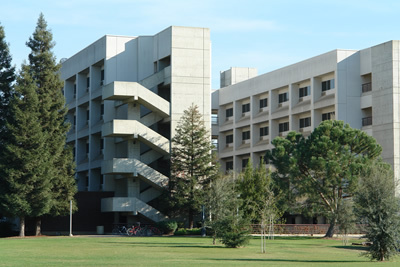 As the name implies, the Peters Business Building mostly houses the offices and classrooms of the Craig School of Business. Head up to the third floor, however, and you will find the Department of Mathematics in room 381. Offices of many of the faculty of mathematics will be nearby.